Designed with chef and catering professionals in mind, this Inteplast Group BP21635 21" x 6" x 35" plastic bun pan cover is perfect for the foodservice industry! Manufactured from 100% virgin resin, this plastic contains no animal fats or heavy metals and is FDA-approved for safe food service, storage and handling, allowing you to safely cover bun pans of varying size with fresh baked loaves, rolls, buns, or other baked goods. Go with a bag that gives you convenience and durability. 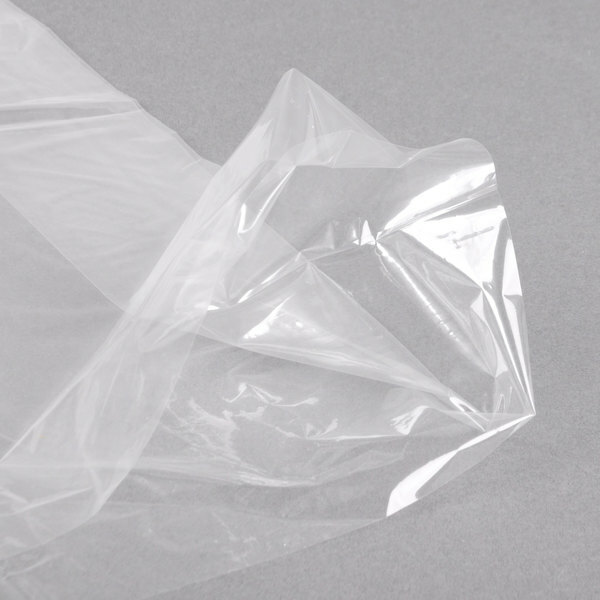 Linear low-density polyethylene (LLDPE) gives you increased flexibility, tensile strength and conformability, making this bag less susceptible to tearing and puncturing; perfect for keeping food fresh. Made of LLDPE resins for clarity, content identification will be fast and easy, keeping you up to pace in your busy kitchen or restaurant. This bag also comes in compact "size on size" packaging where the carton is the exact size as the product, saving you counter and shelf space. The stackable, one-at-a-time roll dispensing system also ensures easy access and waste reduction. These are great! Perfect size, they can be tied at the end of the pan, and they are easy to see through, so you don't have to open the bag to see exactly what's inside, unlike some of the opaque ones. Inexpensive but good product. Great bun cover bags that hold up well and work well for anything on sheet plans. Aside from buns, can also be used for dough ball storage. Love these bun bags, they come in handy for so many things around the store. Great for storage of many different items. Even though they are thin, they work well in holding the freshness. We used to use plastic wrap to cover all of our sheet pans but that got cumbersome so when I found these I was sold. So easy to use. These bags made all the difference in our bead quality and the amount of time that our bread would stay fresh. It fits right over the pan. and also makes it easy to empty the left over bread into to donate to the local shelter after the day is over. Exactly what I was looking for to proof large dough balls. I can then reuse the bag as a cover for the pan. Great product. Love these bun owns covers! We use them to cover our personal sized pizza skins when it's rising. The size of the bag is big enough so you can still tuck under the bun pans. These bags save me so much time at the end of the day and help keep my baked goods fresh. It's much easier than individually wrapping bun pans, and I'm often able to get more than one use out of them. Great Bags, Very good quality for the price. Way better than the other bags we have been using. They come apart easily without ripping. Highly recommended. We don't use these all the time, but they are extremely handy when we do. Easy dispensing, a little larger than needed so there is plenty of room to fit a full size sheet tray. The plastic is also quite sturdy - in our kitchen, they get a second life as a trash bag and we have not experienced any tearing/leaking. These are perfect for keeping our cookies fresh on the pan until we have the chance to ice them. Crucial to keeping humidity away from sensitive confections, such as meringues. Good quality and re-useuable time and again. We love using these fo everything and they save us time and can be refrigerated and the pastries will stay fresh i highy recommend these pan covers. We use these pan covers for everything we can fit on a large cookie sheet. They cover completely and help keep our products fresher, whether refrigerated or frozen. Great size. Love these bun pan bags. They are so versatile. From covering bread and buns to covering a pan of brownies until you are ready to ice them! Love them! 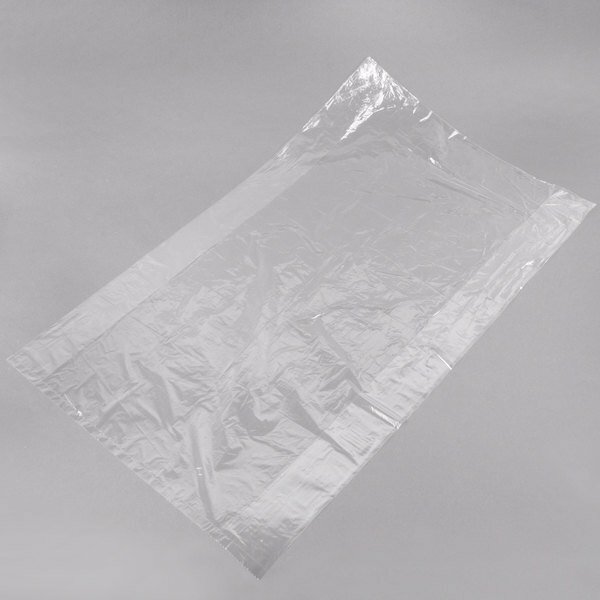 Great when you need to get something else done first, these covers will keep bread, unfrosted cakes, anything soft and moist while you're busy. No product lose.